Twitter is used for a lot of things these days. It apparently can even serve as a job listings hub. Within the hour, Sega’s Twitter feed had a post looking for game testers to work out of London. It only took fifteen minutes for the company’s European community team to be flooded with responses–and they’re still taking inquiries. 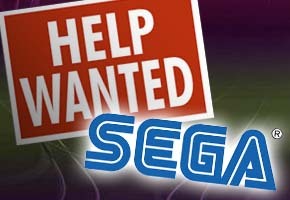 Who wants to work at SEGA? We’re looking for games testers here in London. DM us if you’re interested and I’ll get back to you. There’s no indication what you would be testing, and there likely never will be, at least publicly. Most game testers, when hired, are held to an NDA. Still, if you’re in Britain and out of a job in this still fragile economy–or you’re just looking for a refreshing change of pace–this could be a golden opportunity. Interested individuals are encouraged to Direct Message @SEGA. The feed indicates further instructions are expected from a community representative tomorrow.